The Tarot is a tool that has been around since the mid-15th century in Europe and has spread around the world in various ways. Common playing cards are related to tarot and from about the late 18th century Tarot cards have been used for predicting the future (divination), guided meditation and in a range of mystical activities and mystery schools. 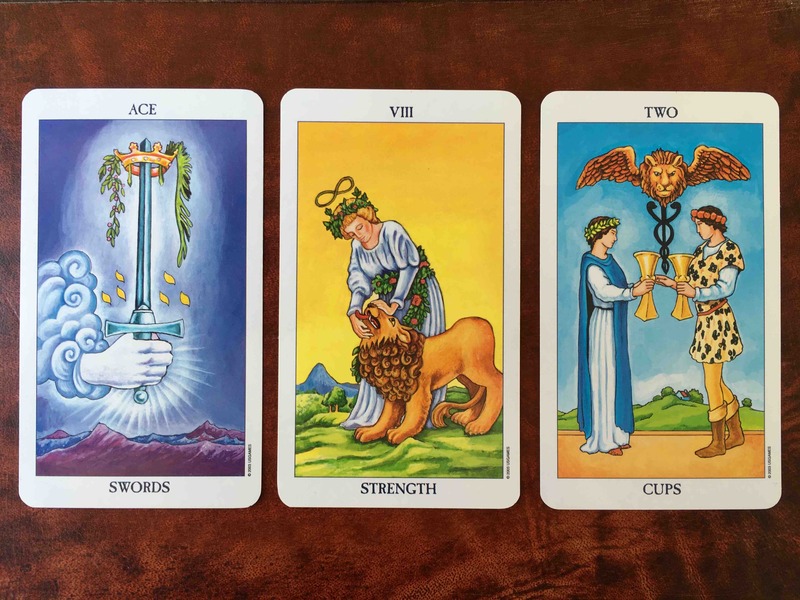 Waite-Smith Tarot – Major Arcana Cards. Waite-Smith Tarot – Minor Arcana Cards. Tarot decks come in an extremely wide range of styles, with the most common traditional deck being the Waite-Smith deck drawn by Pamela Coleman-Smith and designed by Arthur Edward Waite then published by the Rider company in 1910. This deck is unique as it was the first Tarot deck to have pictures on every Minor Arcana card, as prior to this deck the 4 of cups would have four cups on the card which is likened to standard playing cards. The Waite-Smith deck has beautifully designed pictures on every Minor Arcana card and deliberately symbolic images in the Major Arcana cards. 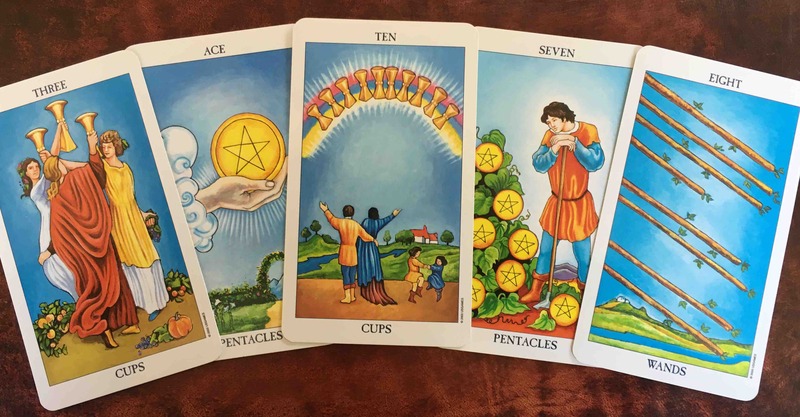 A simple three card Tarot reading is included for FREE with every Esoteric Acupuncture session, dealing with the past, present and future. For a full Tarot reading please contact us for more information. A sample three card tarot reading. Note: All Astrology and Tarot services are considered a curio and are for entertainment purposes only.